As Originally published by M.A.S.E. LLC, August/ September 2006. 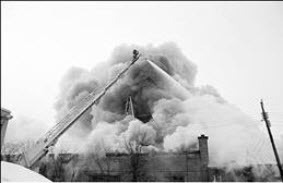 A study by the National Fire Protection Association (NFPA) of important dust explosions in the U.S. from 1900 to 1956 found 1123 explosions. The type of material involved in the explosions ranged from wood, food and feed, plastics, coal, metals, paper, and chemicals. These explosions resulted in a total of 676 fatalities. The most frequent explosions consisted of food particle explosions. These accounted for over 50% of the total explosions. Wood dust explosions were also frequent, accounting for 14.5% of the total explosions. Dust explosions occur when solid flammable particles accumulate and ignite. Any flammable solid material's rate of combustion increases as the size of the particles decrease. The more a material is divided, the more surface area is exposed. Increasing the effective contact area of a solid allows combustion to occur more rapidly. As particle size decreases, explosiveness increases, as does flammability. When particle size reaches less than .1mm, an explosion will occur once this dust cloud is ignited. Sawdust dust explosions occur when an ignition source is exposed to a dust collection system. In woodworking facilities, large quantities of sawdust are produced constantly. Vacuum systems have been developed that remove this sawdust from the work areas, collect it at a central location, then later this dust is processed for fuel for the plant. Other materials being transferred in a closed system, such as flour in a tortilla factory, present the potential for explosions. Explosions are dependent on fuel, oxygen, fine particles, a concentration of particles, and an ignition source. Changing any one of these properties can prevent the conditions that are necessary for rapid combustion. Preventing exposing explosive atmospheres to an ignition source ensures explosion prevention. Ignition sources have been classified as being organizational or operational. Organizational ignition sources can be prevented throughraining and behavior modification. Organizational ignition sources include smoking, welding, cutting, grinding, and other spark-producing activities. The second type of ignition sources, operational, develop within the process itself. Operational ignition sources include: electrostatic energy, sparks, mechanical heat energy released by impacting bodies, open flames, and hot surfaces. Certain materials and processes will generate heat without any outside influence. This is referred to as self-heating, and can be controlled by manipulating moisture content, temperature, and other basic properties. Cooling or drying material may be necessary to adjust the dust properties to an appropriate level. Other important prevention steps include ensuring that heated solid bodies are not exposed to explosive dust. Heated solid bodies can include machine parts and sparks or burning particles from welding, cutting, and grinding applications. Many explosions occur during maintenance of system machinery. Maintenance can often involve different heat and heated body generation sources from cutting, welding, grinding, etc. The National Fire Protection Agency (NFPA) presents standard procedures for such maintenance that produces ignition sources. The best option for maintenance procedures is to shut the system down before making a repair or equipment change. This reduces the explosion hazards dramatically, particularly if the system can be purged of all dust, particles, or other flammable material. Welding and other spark generating processes present such an extreme explosion-initiation hazard that to not stop the system could be considered irresponsible. For some plant management personnel, the financial burden of stopping the plant outweighs the explosion hazards inherent in maintenance on an operating system. Other options involve physically isolating the section of the system on which maintenance is being performed by blocking off pipes and ducts completely. This prevents sparks or explosions from traveling from one part of a system to another. 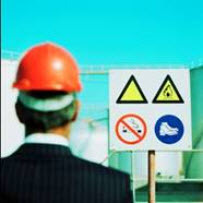 Containment is a method of safeguarding the hazards that are generated in an explosion situation. Containment is achieved when an explosion does not result in fire, gases, or flammable material escaping the system. This is accomplished by designing the pressure vessels to be strong enough to withstand explosions. ASME and other standards apply. Containment is a viable alternative to some of the other explosion protection methods such as venting. Venting explosions can result in a build up of discharged material, which must be discarded of properly to prevent additional fire and explosion hazards. Venting is another method of safeguarding personnel and facilities from potentially explosive conditions. The theory behind venting is that when pressure increases dramatically at the beginning of an explosion, mechanisms release so that the pressurized system can release pressure, usually to open air. This results in controlled blasts in an area designed for the stresses and hazards of such a process. Venting is achieved by different methods. Vent covers pivot open when pressure increases, releasing pressure, and pivots closed again when the pressure decreases. The pressure at which the system will vent is dependent upon the weight of the vent cover. Explosion doors are a type of vent cover for large, high-pressure applications. Rupture disks are another method of venting explosive gases. Instead of a cap that opens and closes, rupture disks and panels are held fixed in position. The center part of rupture disks is constructed to a specific thickness that will fail when the pressure acting on the surface from the system reaches an explosive point. While venting is an effective method of explosion protection, without careful planning, serious problems can develop. When an explosion is vented, burning gases and other burning material, and shock waves will be ejected at extremely high velocities. These blasts can cause serious damage to property and personnel. It is imperative that venting systems design a safe blast zone which is void of machinery and inaccessible to personnel. Isolation involves preventing an explosion from traveling throughout the entire pressure system. Isolation can prevent an explosion from generating further strength and destructive energy. Isolation is achieved by releasing extinguishing materials rapidly into the ducts. Components of an isolation system work together in a pressurized system to detect pressure and temperature increases, and to automatically trigger the release of fire retardant, and in some systems, close high-speed valves that help to physically isolate the fire or explosion to the smallest possible area. Some facilities use material handling equipment with inherent explosion isolation capabilities. Screw conveyors with baffle plates, chokes, or multiple turns can prevent the transfer of an explosion from one part of a processing system to another.